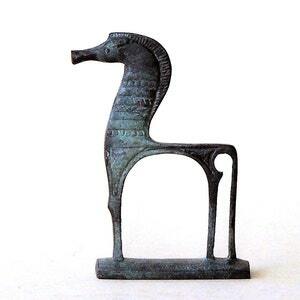 Greek Bronze Metal Horse, Art Sculpture, Parthenon Temple Athens Acropolis, Museum Quality Ancient Greek Art, Equine Art Decor, Art Gift. 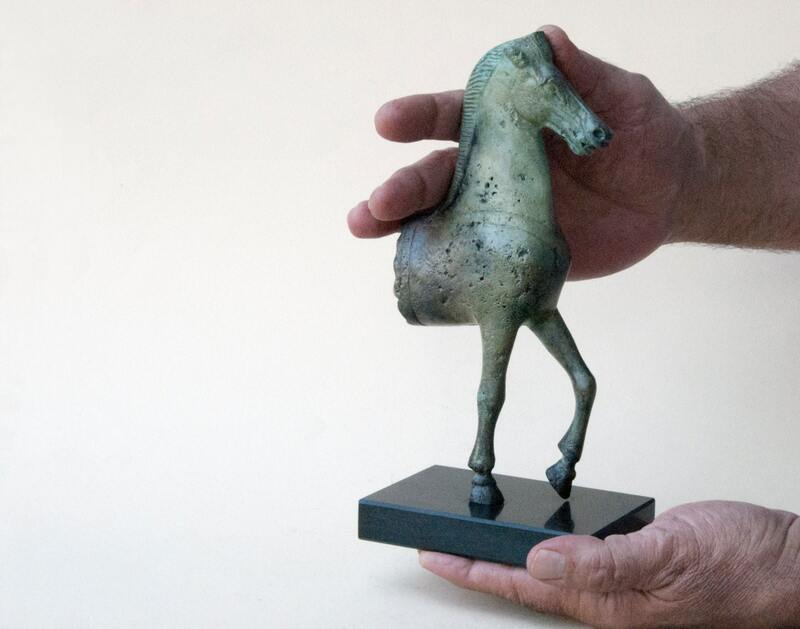 The horse sculpture is inspired by the external decoration of Parthenon temple, the masterpiece of the ancient world. 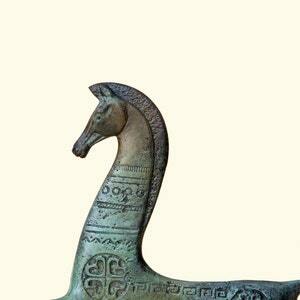 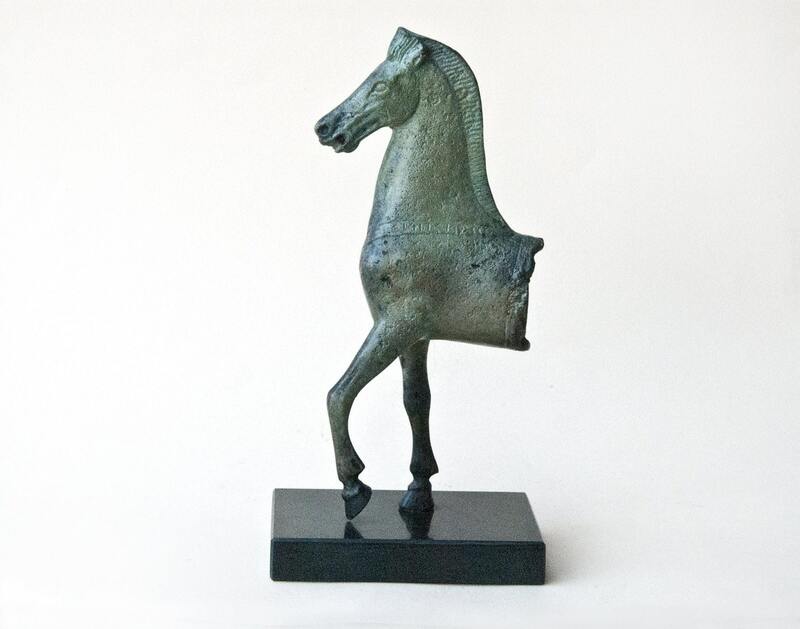 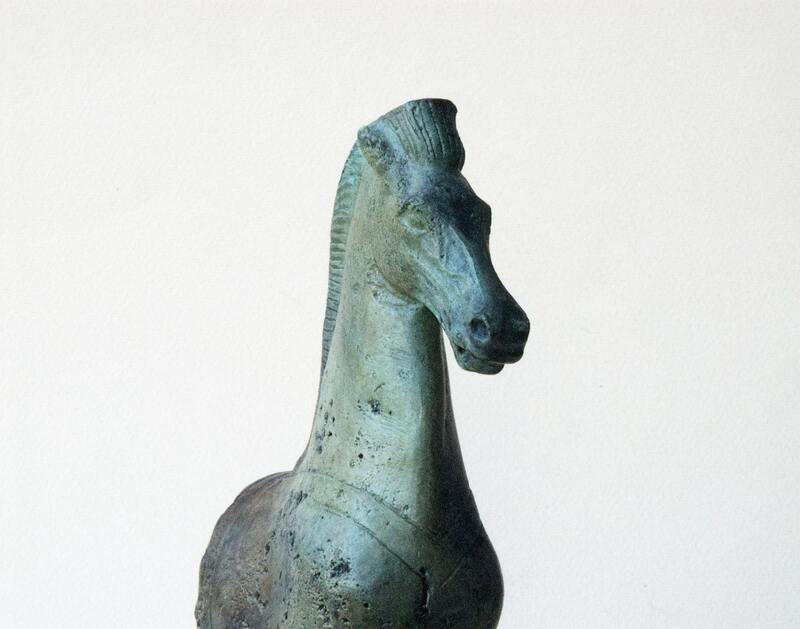 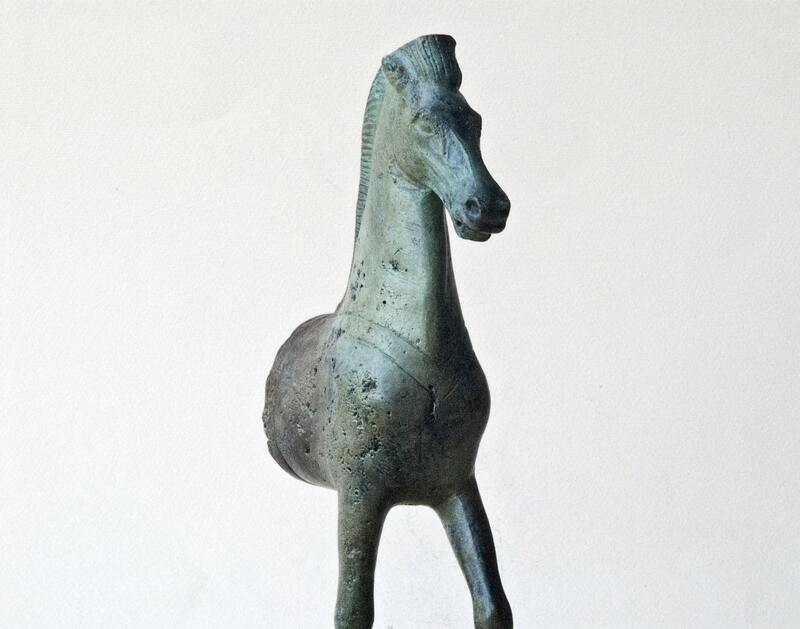 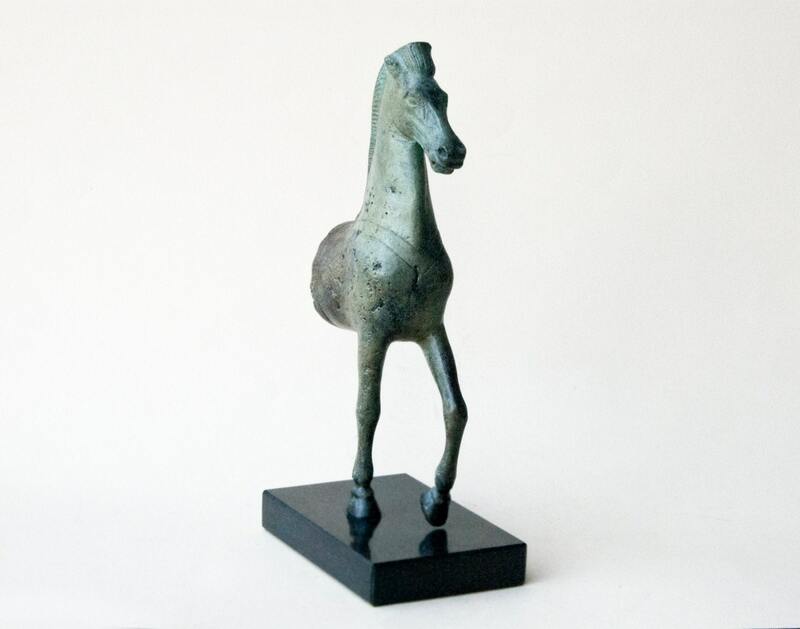 The horse is cast in bronze with verdigris patina, standing on black Greek marble base. 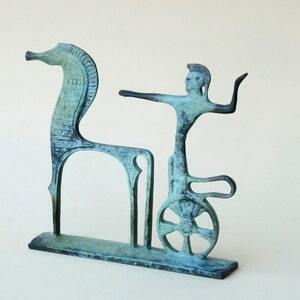 Width: 4.3 inches / 11 cm approx. 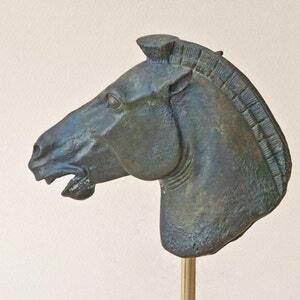 and marble color may vary slightly.